CyberHound has a diverse range of Technology, Community and Strategic Partners whom they work very closely with to push paradigm boundaries. CyberHound’s Strategic Partners are offered benefits for their own organisation and the schools they represent. Access to a unique cybersafety and behavioural analytics technology. Availability of unique tools to facilitate digital leadership in classrooms. Complementary Digital Risk Management Assessment for member schools. Special pricing for member schools. Time saving in the selection and procurement processes. Consistency of policy across member schools. Read the Partnership Announcement here. The Australian Principals Federation represents State Primary and Secondary Principals in the industrial arena in the states of Victoria and Western Australia. CyberHound is working closely with the Australian Principals Federation to provide cybersafety and learning enablement for their member schools while also actively supporting the work they are doing nationally. “CyberHound is an outstanding service and offers significant value to principals by helping then prevent stress amongst the executive leadership group by reliably preventing or enabling early intervention for ‘at risk’ online behaviour.” Julie Podbury, VIC President, Australian Principals Federation. Associated Christian Schools Australia was founded by a group of Christian school principals and promotes Christian culture and education in their member schools. CyberHound continues to support Associated Christian Schools Australia by providing their schools with a safe online environment for their students. SASPA provides advocacy and support for members, relevant professional learning and promotes the work of school leaders. Its membership includes the majority of all Government schools with a secondary component in South Australia. The partnership represents a long-term commitment by SASPA to deliver benchmark cybersafety to staff and students across it member network as well as enhancing elearning opportunities for them. The Lutheran Schools Association is a collaborative team enabling, encouraging and supporting our sites of learning to be thriving, innovative providers of quality education in a Lutheran context. “We’ve been able to negotiate an affordable package with CyberHound that will support our schools across a range of areas – from protecting student welfare and helping to optimise and modernise our online environments,” Rod Wearn, Education Leader at the Lutheran Schools Association. The Federation of British International Schools in Asia, is a membership association of British International Schools of quality in the Asian region. The schools in the Federation work together to provide a range of combined events for their students; professional development opportunities for their teachers; and collaboration on a range of matters that support the provision of a British-styled education in the region. Founded in 1988, and registered with the Registry of Societies in Singapore in 2002, the Federation now has 55 member schools from Brunei, South Korea, Taiwan, China, Hong Kong, India, Vietnam, Thailand, Malaysia, Mongolia, Nepal, Singapore, Indonesia, Philippines and Brunei. CyberHound is an affiliate member of FOBISIA and are committed to supporting the Federation by providing their member schools with safe online environments for their students. The Victorian Principals Association represents the professional interests of principals in Victorian primary schools. Today the organisation is a network of school leaders with a focus on the wellbeing of colleagues ensuring they are connected, united and empowered. CyberHound has been working closely with Victorian schools for over a decade and over the last year has rapidly grown its investment in the region in line with the growth in school clients. CyberHound has created a special package for Victorian government primary schools. This package includes all of the key filtering, security and Cybersafety features, backed up by a fully managed service. This means that once CyberHound has set up the service, its professional support team then manages it for the school. This frees up the time taken by IT or non-IT staff in managing filtering, reporting and other online issues. Find out more about VPA here. The Access 4 Learning (A4L) Community, previously the SIF Association, is a unique, non-profit collaboration composed of schools, districts, local authorities, states, US and International Ministries of Education, software vendors and consultants who collectively address all aspects of learning information management and access to support learning. As a supporter of the A4L initiative, we are committed to furthering the awareness of the Access 4 Learning Community within the education community. We focus on ‘data useage’ to impact learning as well as seeking interoperability among diverse software applications to better meet the needs of our customers and/or constituents. Read the more about A4L here. SAPPA’s purpose is to provide advocacy and support for primary school leaders and to promote and influence primary education, including the development of policies and practices within the Department for Education and Child Development (DECD). Collegial support is a strong component of SAPPA membership. Leaders share issues and queries via sappa-talk, which also provides an efficient means of consultation with members. CyberHound is proud to be recommended by SAPPA as their preferred supplier and has partnered with SAPPA on a number of activities including their Annual Conference. The National Schools Interoperability Program (NSIP) is a joint initiative of State, Territory and Federal Ministers for Education. The program was established in July 2010 to support the development of digital learning infrastructure nationally and improve access to information for stakeholders in the Australian school education sector. To achieve this aim, NSIP promotes the adoption of common technical standards and supports projects that improve the interoperability of information systems used by schools and school authorities across Australia. In particular, NSIP supports adoption of the Systems Interoperability Framework (SIF) which was endorsed by the Ministers for education in 2009 as the preferred method for exchanging data across the sector. Read more about NSIP here. 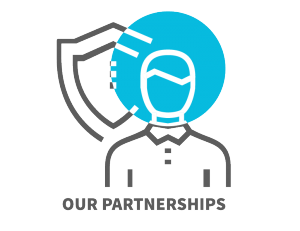 Technology partners (or channel partners) are organisations that CyberHound connects with to increase the provision of access, support, services and value for its customers. Aruba is a networking vendor selling enterprise wireless LAN and edge access networking equipment worldwide. Aruba is redefining the IT edge with mobility and IOT Solutions for organisations. CyberHound is proud to be an Aruba 360 Security Exchange Program Partner. The Program allows Aruba customers to leverage existing security investments by seamlessly integrating them with Aruba solutions. Our technology integration with Aruba’s ClearPass product enhances network security, especially for BYOD networks, through advanced threat detection and enforcement of network access policies. CyberHound’s partnership with Aruba ensures that businesses, schools and other organisations can seamlessly scan and report inappropriate communications in social media, chat, instant messaging, and Web 2.0 applications. Aruba has certified CyberHound’s web filtering and the ClearView social media governance and control platforms to interoperate with Aruba’s enterprise wireless LAN infrastructure. Hewlett Packard Enterprises (HPE) has been in the innovation business for more than 75 years and strives to provide technology solutions that help businesses deliver leading-edge, high-performance solutions. HPE’s focus on technological innovation and 24/7 onsite support coverage means our customers enjoy high performing systems, high efficiency and excellent reliability. ReadCloud, the innovative Australian company that created the world’s first social eReading platform specifically designed for schools, delivers the entire Australian curriculum digitally through a single App. The integration gives schools more choice as to how they want to deliver the curriculum. Technically, it means CyberHound is able to cache the eBooks delivered by ReadCloud and this significantly enhances efficiency and reduces costs for schools. CyberHound integrates with the SEQTA platform to provide a number of tools for teachers, students and welfare staff. Teaching staff can view student web activity and manage Internet access using Classroom Controls within SEQTA TEACH while students can access specific content using the SEQTA ENGAGE portal. In addition welfare officers are able to view important student data to assist in identifying at risk students and inappropriate Internet activities. Xirrus is a leading provider of high-performance wireless networks. Xirrus Array-based solutions perform under the most demanding circumstances with wired-like reliability and superior security. CyberHound has been recognised as a ‘Performance Partner’ the highest partnership level in the Xirrus Technology Alliance Partner Program. Xirrus and CyberHound have certified each other’s solutions for interoperability, providing efficient integration, and allowing new features and functionality to be tested with each other’s products to provide a scalable, secure and highly reliable wireless infrastructure. CyberHound supports the work these organisations do in the Australian community. The Foundation was set up in memory of Alannah and Madeline Mikac, aged 6 and 3, who were tragically killed with their mother and 32 others at Port Arthur, Tasmania, on 28 April 1996. The Foundation was launched in 1997 and has been operating for almost 20 years. Their key objectives are to care for children who have experienced or witnessed serious violence; reduce the incidence of bullying, cyber bullying and other cyber risks; and, advocate for the safety and wellbeing of children. CyberHound has been a long-time supporter of The Alannah and Madeline Foundation and endorses the work they do to keep children safe from violence. Find out more about AMF here. CyberHound is proud to support ThinkUKnow and their important messages and presentations. We stand with ThinkUKnow and their partners and join their push to educate and protect young people across Australia. Find out more about ThinkUKnow here. CyberHound supports the Office of the Children’s eSafety Commissioner by actively sharing tips and resources to help keep Australian’s safe online. Find out more about the Office of the Children’s eSafety Commissioner here. CyberHound is proud to be a partner of the Australian Government’s online safety and security website staysmartonline.gov.au. As a partner we are serious about online safety and are dedicated to promoting key online safety messages across our industry and community. Each year we are very humbled to be able to take part and support Stay Smart Online week also. Find our more about Stay Smart Online here. CyberHound is recognised by national organisations as being a quality and reliable supplier. QAssure has approved and accredited CyberHound as a national ICT Supplier. QAussure’s approval is not given without considerable checks and balances. Only ICT suppliers that are credible and fit for purpose are accredited. As a result, our QAssure tick of approval gives vendors confidence in the quality and service they’ll receive from the businesses we list.